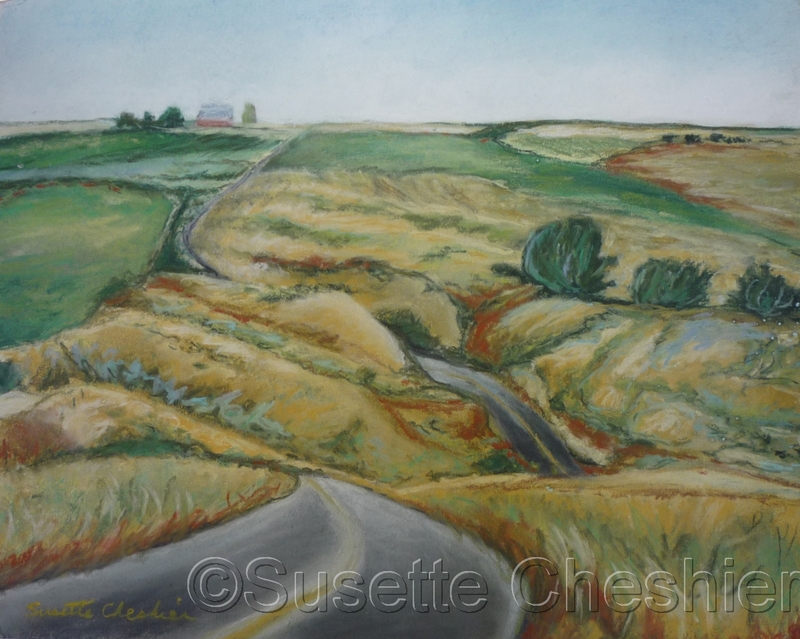 Pastel Painting of Eastern Washington rolling hills. Semi-abstract in colors of greens, yellows, grey and blue greens. 7" x 8.75"9" x 11.25"11" x 13.75"13" x 16.25"14.5" x 18.25"